If you’re a first-time buyer who just nabbed your first place, you’re likely in one of the scarier places in the real estate transaction. After weeks or months of looking, your new home is becoming a reality. But before you can pick out the paint colors and decide how you’ll redo the basement, the property needs to be inspected. A property inspection is one of the most important parts of the purchasing process, yet many buyers don’t know what to expect from the various players involved. Here’s a guide to the roles and responsibilities each of the players has during a typical property inspection. Prior to the inspection, review the seller’s property disclosures and know up front what questions you have for the inspector. Things may have come up during the marketing or during a walk-through that concerned you. Or maybe the seller disclosed that some unpermitted work was done in the basement years ago. Before you release your inspection contingency, know exactly what you’re getting into and that there aren’t any surprises down the road. Block out a few hours on the day of the inspection, depending on the size of the home. Nearly everyone from the transaction will be present, and these few hours can be critical. Most inspections go smoothly, but some can be the beginning of tough negotiations. Your agent should be standing by your side to walk you through the inspection. 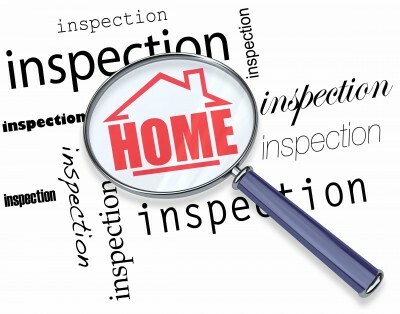 Good agents have been through dozens of inspections and know how they work. They should have basic knowledge of what to look for. Most importantly, they know what’s important and what matters in the big picture. If you’re getting a really good price on the home, your agent would likely advise you not to bother the seller for small fixes. If you’re paying top dollar and discover serious flaws, your agent can guide you on how to best proceed after the inspection. For many reasons, the seller won’t be present during the inspection. But the seller’s listing agent will be front and center as the eyes and ears of the property inspection. By this point, the listing agent should be familiar with the property and is there to address anything that comes up. For the seller and the listing agent, the inspection is one of the last hurdles to get through and a big unknown. Issues, questions or concerns could arise during the inspection, which could kill the sale or affect the property’s value. That’s why many agents advise sellers to get a property inspection before going on the market, to prevent any last-minute unknowns or red flags. Sometimes, it seems as though the listing agent is there to “defend” the property against the buyer, her agent and their chosen inspector. Some feel the inspection is a “three against one” situation. It shouldn’t be. The inspector is not a contractor, though some inspectors were contractors in their previous careers. While they may be able to shed light on what you can or can’t do to a property and its potential costs, their main purpose is to inspect the property, its systems and the overall state of the home. A good inspector will remain impartial and not be an alarmist, though they will point out things to be addressed. The inspector isn’t a part of the transaction and shouldn’t get into the nitty-gritty of your deal, nor would they want to. The inspector should look around, make notes and provide you with a detailed report as well as some feedback on future maintenance. Be sure to walk through the property with the inspector. Whenever possible, go where the inspector goes. Get on the roof, go into the basement, venture into the crawlspace. It will be helpful for the inspector to point things out to you in real-time and demonstrate where the systems are and how they work. Also, some things are better understood in person than read about in a report later. Finally, it’s important to understand why having Uncle Bob on hand during the inspection isn’t necessarily a good idea. While it may seem logical to bring a relative or close friend who is a contractor, be mindful that these people aren’t licensed property inspectors. Sometimes, the most well-intended people can end up causing harmful consequences. Uncle Bob may feel it’s important to point out as many negative things as possible, just to seem helpful. He’s far from impartial, however, and you run the risk of raising red flags when they don’t need to be. After the inspection, you and your agent will likely huddle to talk about what went on and to strategize next steps. Hopefully, the inspection was flawless and you are one step closer to picking out your new paint colors. Or some additional negotiations may be needed after the inspection. Either way, it helps to know what to expect going in and to be prepared for anything.